TEL AVIV, Israel, May 25, 2016 — As part of the Geo IoT World conference in Brussels, Anagog won the prestigious Geo IoT 2016 Award for Location Intelligence Crowd Sourced Analytics for Smart City by Anagog. Prize sponsored by the Open Geospatial Consortium. Geo IoT World gathered more than 150 participants and 60 speakers for two days. The event also hosted the first Indoor Location Testbed where 8 location companies enabled the exhibition rooms. 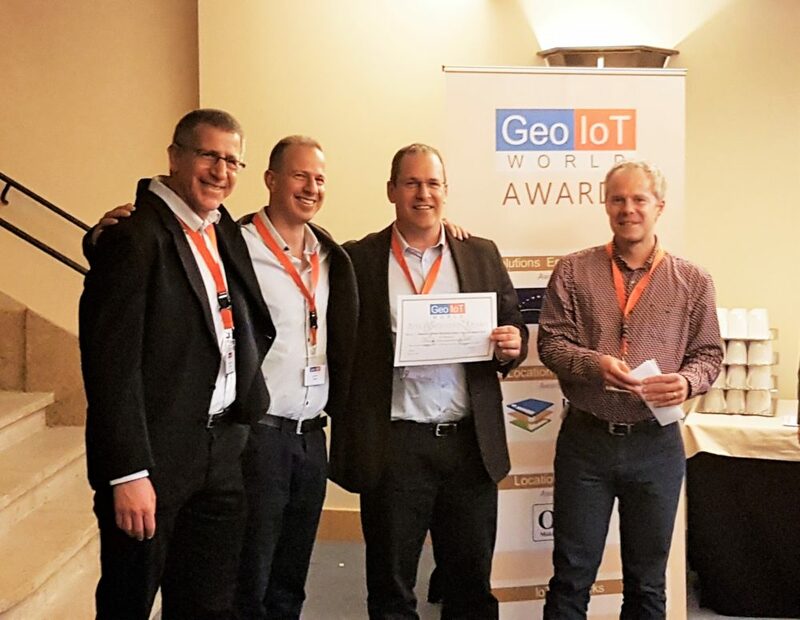 At the end, four innovative companies in the geolocation and IoT markets received the prestigious Geo-IoT World Award for 2016, among which was Anagog. Anagog is the industry’s pioneer in smartphone sensor signal processing and first to understand the mobility status and location of the user without a significant drain on battery consumption. Anagog’s technology is implemented in over 20 million handsets globally and distributed over 70 apps, collecting billions of anonymized data points each day. This locally collected and rapidly growing big data allows Anagog to better train its on-handset algorithms and to achieve the highest number of individual current and predicted mobility statuses. Anagog was founded by Gil Levy and Yaron Aizenbud in 2010 to create mobility status algorithms for advanced on-device machine learning capabilities. Since then, this technology has been perfected to offer a rich user experience with ultra-low battery consumption and a high level of privacy protection. The company has filed 16 patents to date and is currently developing a set of additional AI-enabling advanced technologies and services.